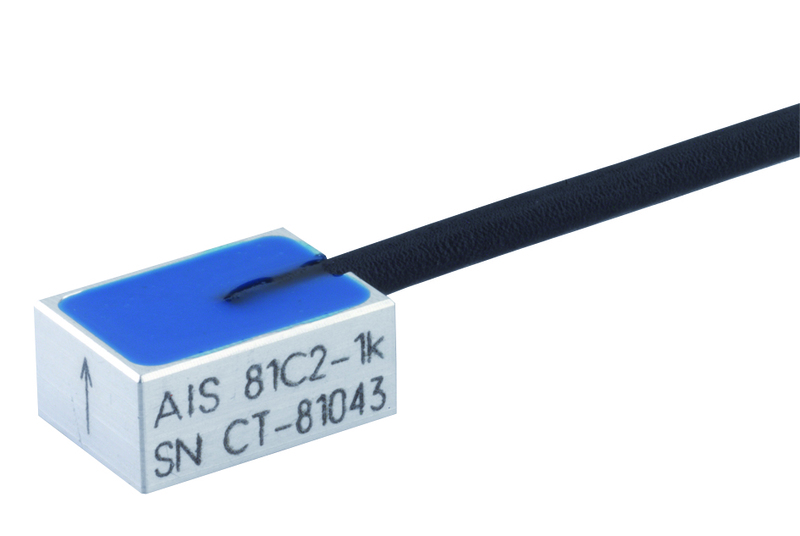 The Model AIS 81C2 Accelerometer is a small, compact uniaxial device designed for vehicle impact and road testing. Featuring ranges from ±50 g to ±6000 g and high frequency response, this sensor is easily mounted in hard to get places on vehicles under test. 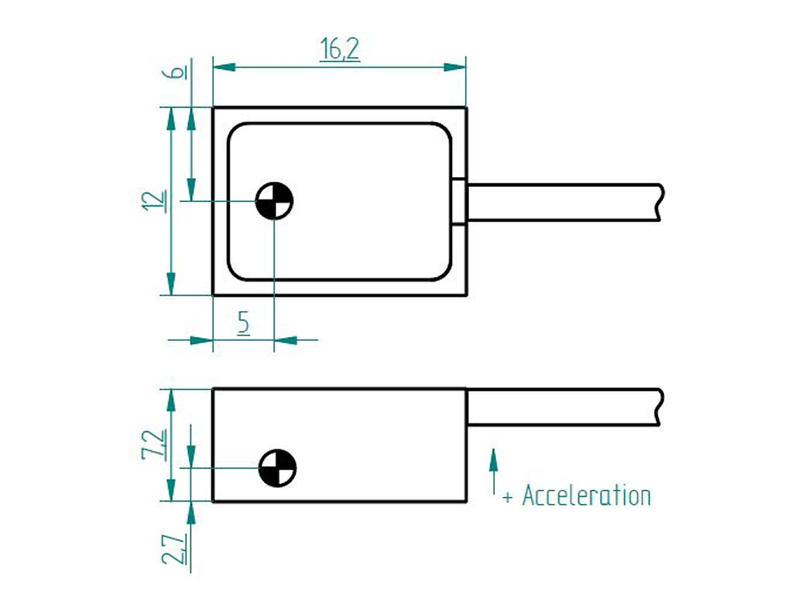 The sensor provides a millivolt output signal and features mechanical overload stops that provide shock protection to loads greater than 10,000 g. The electrical signal changes proportional to introduced vibration.